Historyod Payson Park Thoruoghbred Training Center (from their website): Payson Park Thoroughbred Training Center was originally built in 1957 by a partnership that included racing luminaries Michael Phipps, Bull Hancock and C.T. Chenery. 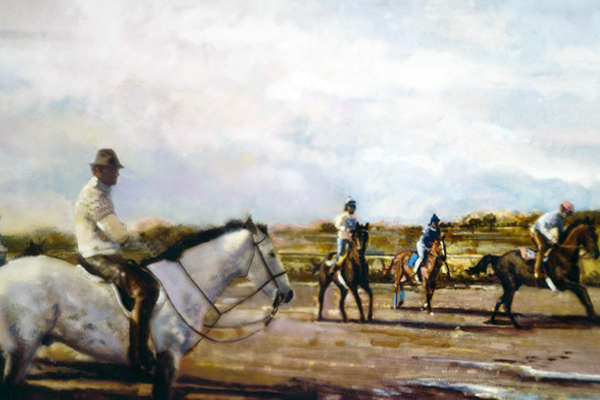 Payson Park was then refurbished and renamed by Virginia Kraft Payson in 1980. In an independent study by Dr. George Pratt of M.I.T., the dirt track was rated among the "top five in the country" and cited as "the most consistent of ALL race tracks measured."